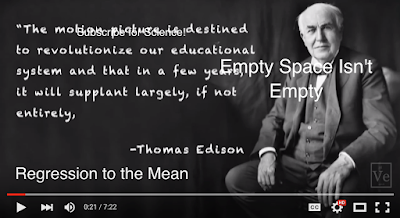 ‘This Will Revolutionize Education’ is the title of an interesting video shared by the popular YouTube channel Veritasium. The overarching question the videos attempts to answer centers around whether the new technologies will revolutionize education. Departing from the presumption that every new technology seems to be transformative (e,g Motion Picture, Radio, TV, Telephone, Computer…etc), the speaker went on to deflate such transformative claims vis a vis education by showing how classroom instruction has been in a state of inertia manifested in the use of the same teaching methods that have been used years and years ago. And regarding the potential of the new technologies in vogue today in revolutionizing education, the speaker’s view is negative. He attributes technology’s failure to deeply transform learning to the inherent social aspect of learning which entails interaction and reciprocity between different social agents. While we do agree with some of his ideas especially concerning the social aspect of learning but we do, however, believe that new technologies more than any other technologies humanity has known, have radically revolutionized the educational landscape to the point where are now talking about new learning trends such as Flipped learning, BYOD, mobile learning to mention but a few. Also, the social aspect of learning is definitely not threatened by the encroachment of these technologies. There are actually several audio-visual platforms where learners can freely and instantaneously interact with each other and with their teachers regardless of their geographical whereabouts. It’s true technology has its limitations and can sometimes be disappointing, but it definitely has more to offer for education.